The newest location of popular West Village Boucherie just opened on Park Avenue South unveiling an absolutely gorgeous interior. 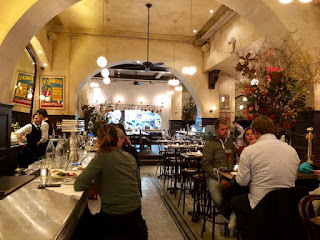 All the wonderful elements of the previous tenant Florian remain intact, like the long beautiful bar that wraps around the front, with lively open kitchen added in the back and gorgeous flowers dotting the main room giving the entire space a romantic feminine flair. 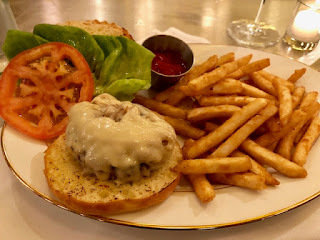 I stopped in for their "Green Hour" where select wine, cocktails and Boucherie Burger available at the bar for just $12.00. 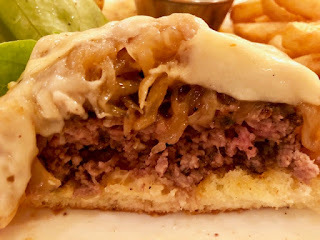 Dry-aged Pat La Frieda Beef topped with caramelized onions, aged gruyere cheese and a side of thick, crispy french fries to make it a filling meal. Green Hour runs Monday- Friday from 4:00-7:00 PM.